Sparkle, shine, and glow this year with jewelry from Waxing Poetic. Waxing Poetic creates unique and inspiring accessories for women of all ages and best of all, Layla Grayce is offering 20% of Waxing Poetic with promo code WP20. Below are a few of my absolute favorite pieces. This offer ends on 1/16. I love the Write Your Own Way Bracelet ! This bracelet reminds you that the script of life is always moving forward and you have the power to guide its direction. Add dimension to an outfit with the delicate and lovely Empire chain. Designed with faceted resin and pearl beads, this versatile brass chain looks perfect with a casual ensemble or dressy evening wear. Happy Shopping! wow looks like nice stuff, definitely going to check out this website!! There were so many charms I would like to get. Some of them are the Waxing Poetic Charm Whimsies Dog Paw, Pastime Music, Pastime Hockey, and Stress Remedy In A Bottle. Lovely! I love the line of wax seal jewelry. I really like the Waxing Poetic Custom Ring Wax Rolled Signet. I love this. they have cute stuff! This jewelry is beautiful- I love that wax seal initial style! 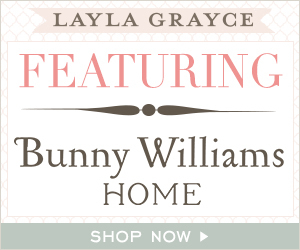 I LOVE Layla Grace jewelry!! Thanks for the discount code. When I purchase jewelry, I love to purchase unique pieces that not everyone will have. I like to have something different than everyone else. At this site you can find some really great pieces!! !